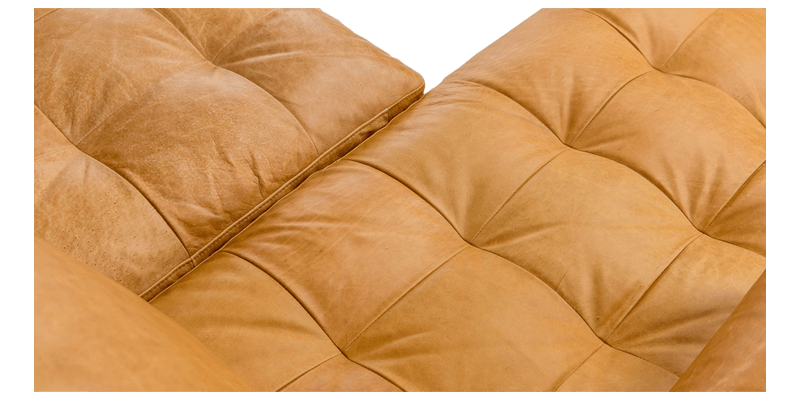 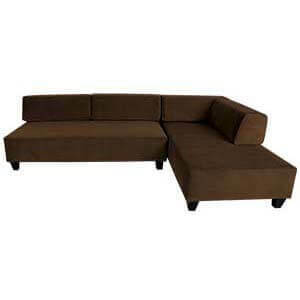 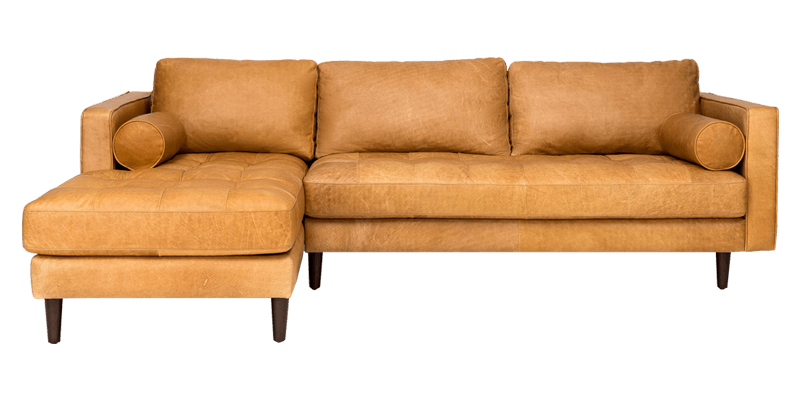 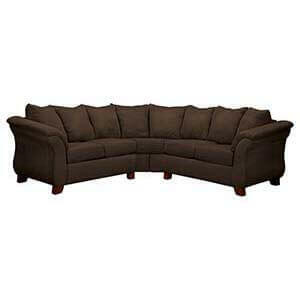 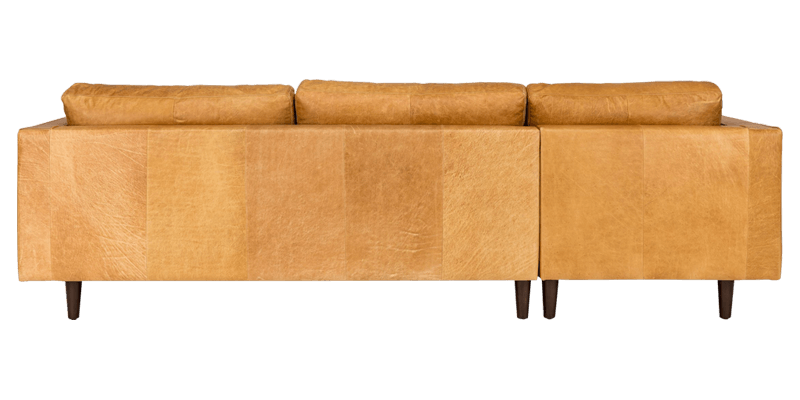 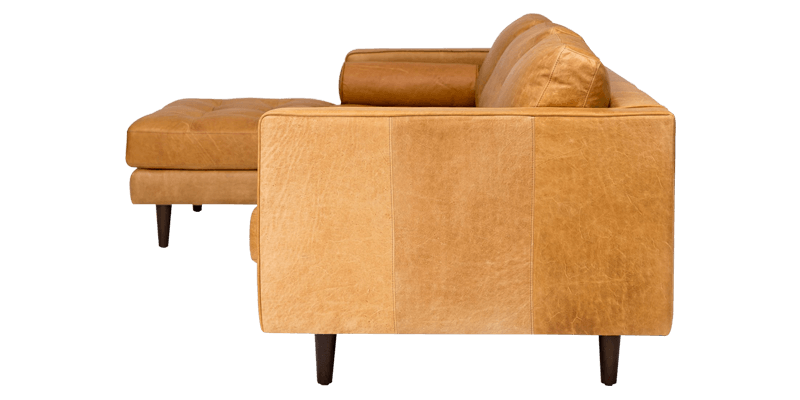 Enjoy family get together on this L-shaped leatherette sofa featured in tan colour. 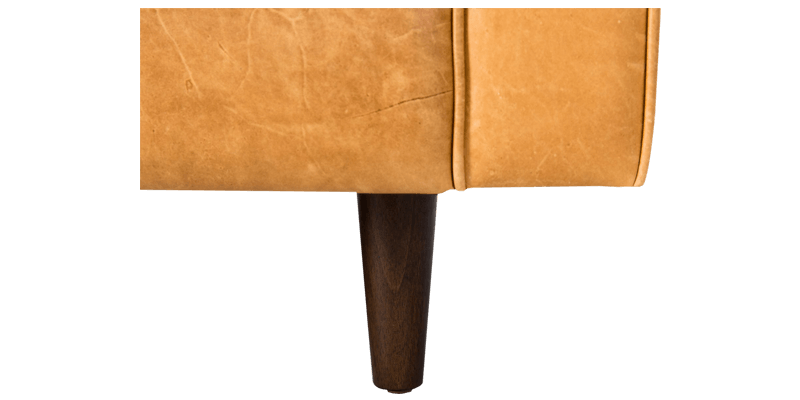 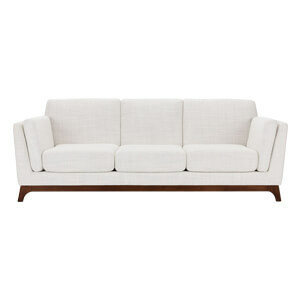 This durable wooden sofa sits on strong and sturdy tapered legs. 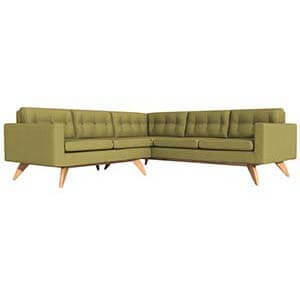 The square tufts and track arms on it draw inspiration from mid-century style. 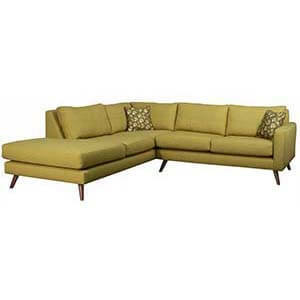 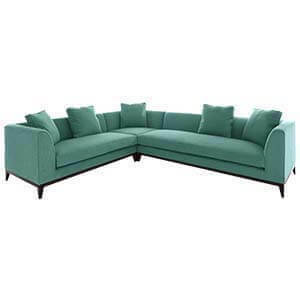 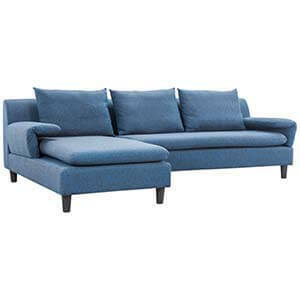 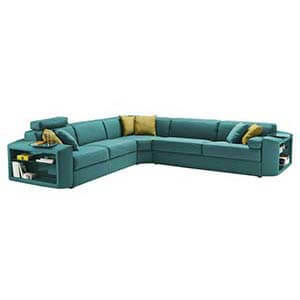 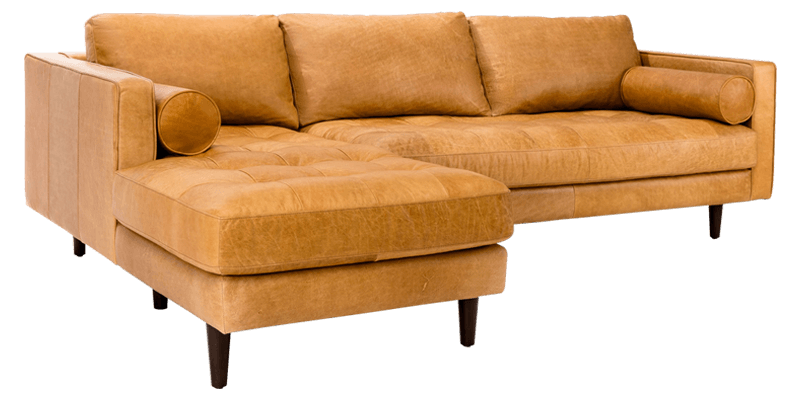 This beautiful sofa help enhance the modern look of your living space.